Globalization is bringing the world together--and not always in ways we find comfortable. Whether it's the credit crunch, civil conflicts, soaring food prices or climate change, millions today are living Life on the Edge. 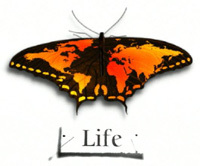 Life films their stories as they face up to the dangers, disasters and dilemmas of 21st century Planet Earth. "Grace Under Fire is a stunning film, mixing the beauty of the Congo with the tragedy of war. Dr. Grace Kodindo is our experienced guide to the many reproductive health problems faced by women in conflict zones. But even Dr. Kodindo is moved and shocked by what she sees and hears from the women, men and health workers. This half hour film is a condensed course in reproductive health and rights, and makes a convincing case for improving services for women in such situations. Moments of Truth is an unusual film, showing not only the lives of people in drought-affected regions of Ethiopia, but their complicated relationship with the journalist who has chronicled their lives for decades. Complicated and affecting." "[Moments of Truth] raises questions about sustainable development. While emergency aid is needed in times of famine, only projects emphasizing sustainable development can prevent famine from happening again. The film also touches on the problematic issue that the film maker - representing many who work in international development - benefits from what he documents but the livelihood of the documented is not improved. Witnessing the suffering and dying of thousands did not leave him unscarred but pays his bills, allowing him to live a secure life in England, while those whose lives and suffering he documented are either dead or continue to suffer. The film is valuable for introducing a discussion on the realities and the impact of international aid. [Moments of Truth] highlights the need for emergency aid to be followed up by long-term sustainable development programs. [Grace under Fire] challenges us to think about global healthcare disparities and how to address them. One argument of Dr. Kodindo is that certain healthcare interventions, such as delivery kits, are low-cost but highly effective in saving lives. Focusing on low-cost simple medical technology may be the answer to some global health threats."